What if you biked everywhere? On today’s Unmute the Commute, meet Fred Miller. Produced by Hebah Fisher. 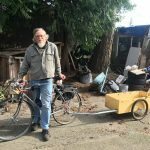 Story discovered through King County Metro’s Just One Trip campaign.